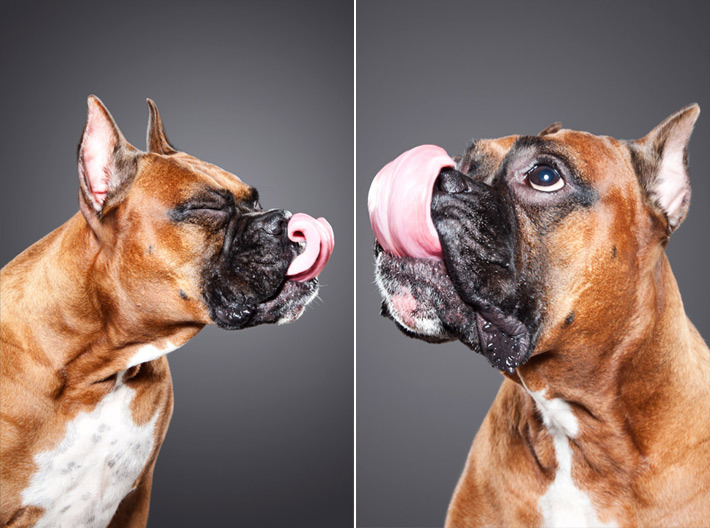 Lick is a great photography project by Ty Foster. 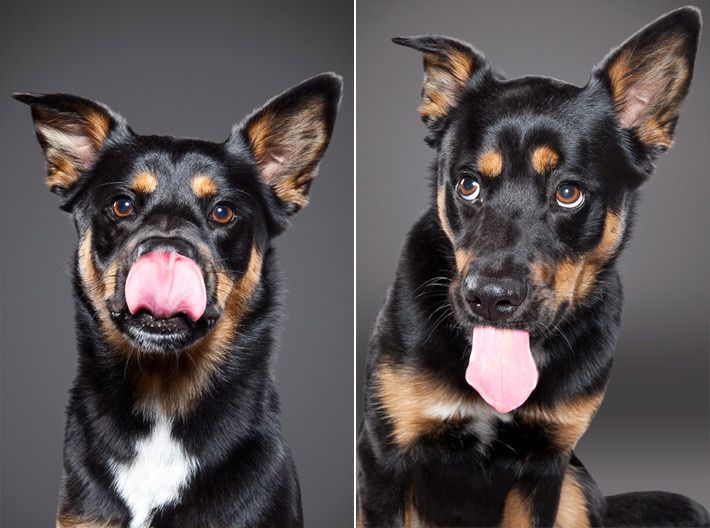 It came about accidentally when Ty was checking proofs from a different project and was laughing out loud at the ones of dogs captured mid-lick. I love the expressions! Ty plans to add more portraits and there will be a book. 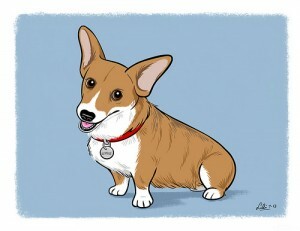 Ty Foster does other nifty portraits of people and their dogs. There’s a collection of people with tattoos and their dogs called Dogs Ink. I LOVE Lili Chin’s work over at Doggie Drawing! 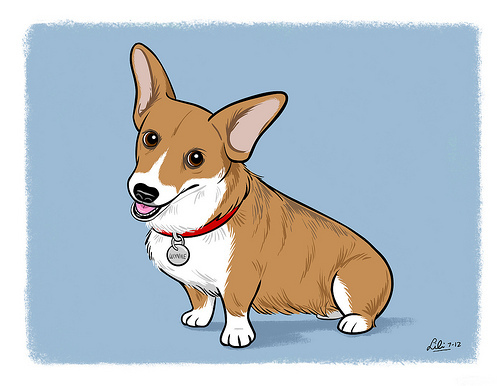 She does neato pet portraits and donates a portion of the proceeds to Boston Buddies rescue for Boston Terriers or to the rescue group of your choice. Sweet! 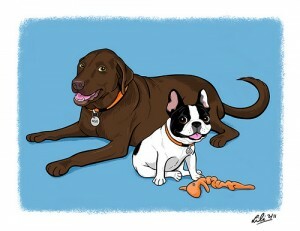 Lili has illustrated books by very well- respected dog trainers & animal behaviorists, like Sophia Yin. Equally awesome are her educational posters on dog body language, training, how to pet dogs, etc. 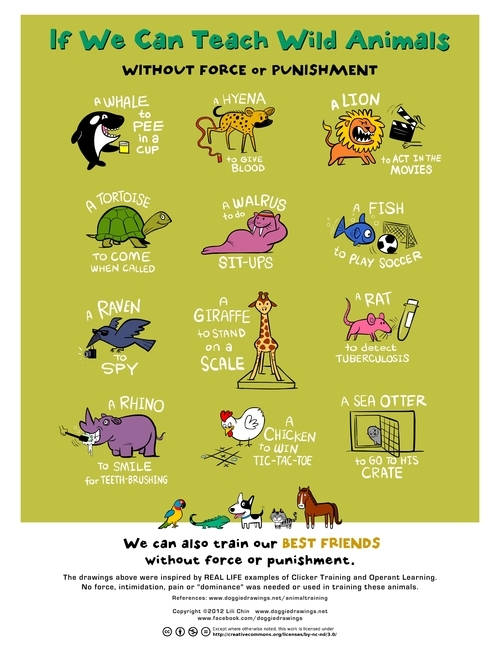 I particularly like this poster on what different wild & domesticated animals have been taught without resorting to force, intimidation, or pain. 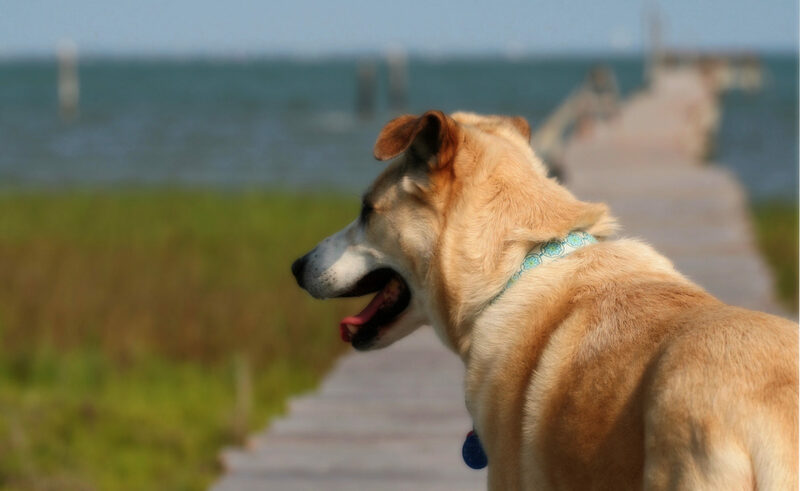 If we can teach a whale to pee in a cup, can’t we train our dogs without force, intimidation, or pain? A reader asked about tutorials for making silhouette pet portraits, so here you go! 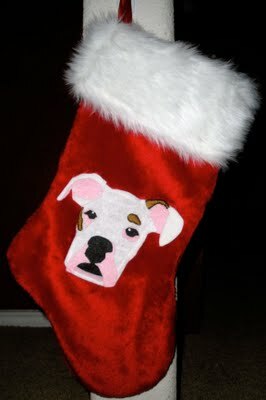 You can do this for any pet, so don’t limit yourself to cats and dogs. A budgie portrait would be really cute! The video shows 2 techniques—a higher tech version that uses Adobe Illustrator & a robot cutter and lower tech version that uses tracing paper. 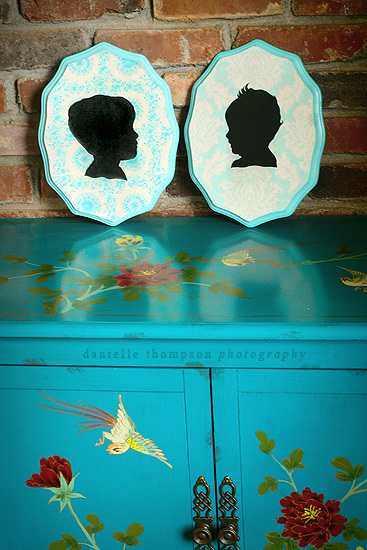 Here’s a second tutorial on how to make another version of a silhouette plaque. 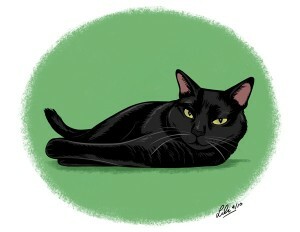 Just use your pet’s portrait instead. 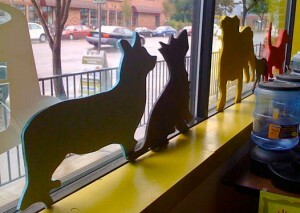 More ideas on ways to use pet silhouettes from Martha Stewart. 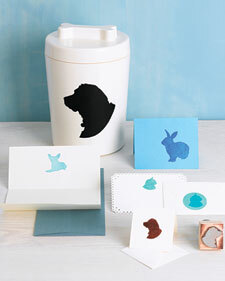 I think the suggestion to have a custom rubber stamp made of your pet’s silhouette is a great idea. 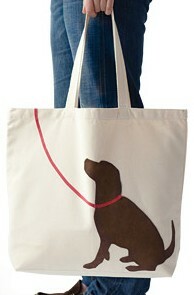 It would also make a nice gift for a pet lover. I love this tote bag tutorial—it’d make a cute pillow too! I think I’d sew the silhouette rather than glue it though. Larger scale pet silhouettes made from plywood are a unique application. You’ll need a jigsaw, router, or something similar for this project. 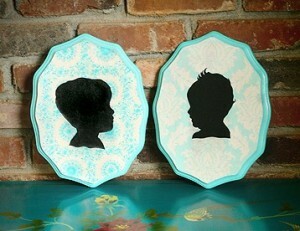 This two-toned silhouette portrait is lovely. 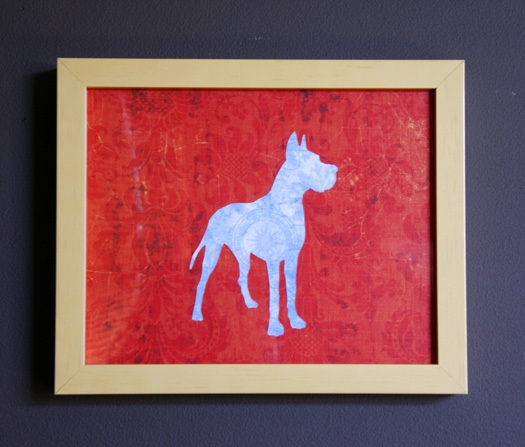 You can use all sorts of colors and patterns to create something really nifty! 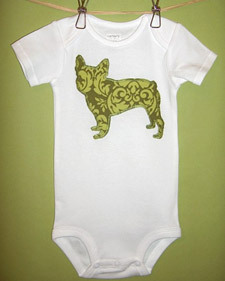 An appliquéd onsey or t-shirt is pretty cute.